About two weeks ago, we opened voting for the best DMC agency in the Alpe-Adria region. We have received over 760 votes, and the TOP 10 DMC agencies are now known. Soon, you will also get to vote for the best Event and PCO agency, so stay tuned. DT Croatia (Dubrovnik Travel) is the proven leading “Croatian DMC” (Destination Management Company). DT offers professional MICE services with numerous attractive locations and event venues for exclusive groups. Liberty Adriatic has four offices in the Adriatic region, covering Slovenia, Croatia, Montenegro, Serbia, Bosnia and Herzegovina, Macedonia and Albania. They create unforgettable moments with a personal approach. 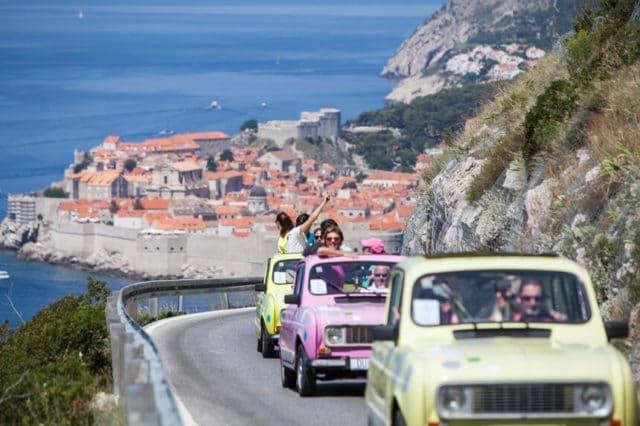 Since launching in 2000 with a team of just two, Intours DMC has grown into an Adriatic regional destination management company specialist, delivering tailor-made incentive, conference, car launch and special events. DEKON DMC is part of DEKON Group which was established in 1991 in Istanbul and since its foundation, it has been serving local and international partners. The company was founded in 1990 as one of the first privately owned tourist companies in Slovenia and is now the leading Slovenian tour operator and an incoming DMC. The company, established in Slovenia over 65 years ago, is among the most renowned brands in the country. Kompas DMC has a network of 15 offices around Europe and over 100 employees who speak at least 11 world languages. Talas-M offers assistance and original ideas to help you plan & create interesting and truly memorable events for you and your clients. Over 60 years is a long time. That’s the extent of austriaCongress’s experience in the field of events. Their services range from leisure programs and catering to technical equipment, entertainment and shows. Adriatic DMC is a leading destination management company based in Croatia offering authentic travel programs for discerning travelers to the region. Penta, a Croatian PCO and DMC company was founded back in 1991. Their experienced staff designs customer-tailored solutions, managing every aspect of your event, matching the profile of your group.